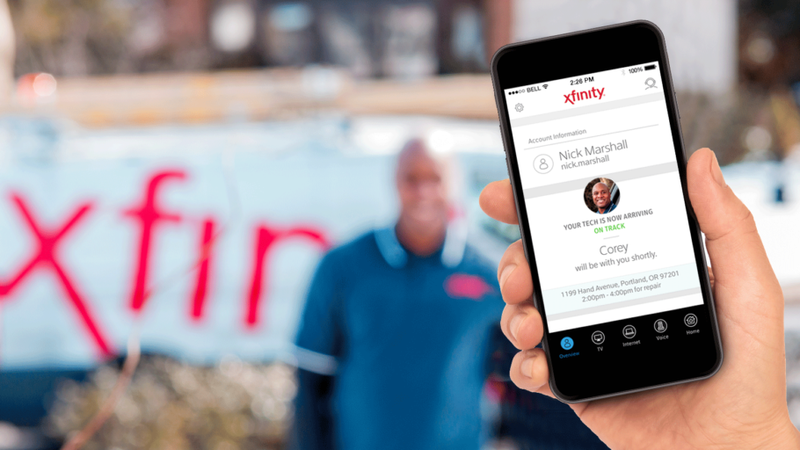 LIVERMORE, Calif. – Feb. 21, 2017 – Today in California, Comcast will launch a new feature in the Xfinity My Account app called “Tech ETA” that gives customers an estimated 30-minute window for when a technician will arrive for scheduled service. Comcast customers no longer need to call to reconfirm an appointment or guess when a technician is on the way. Tech ETA will show when the technician is “en route” and has arrived at your home. Customers can even see the tech’s name and photo, so they know exactly who to expect at their door. Striving to eliminate wait time for customers, Comcast also narrowed its appointment windows from 4 hours to 2 hours and is working hard to be on time for every technician appointment. In 2016, Comcast achieved a 97 percent on-time arrival rate. And if the arrival time is late, Comcast credits the customer’s account with $20. Comcast is in the midst of a multiyear effort to transform customer service and customer experience. From investments in technology and training, to hiring 5,500 new U.S.-based customer service employees, to new customer tools and billing enhancements, to store renovations – the entire company is engaged in this mission. Tech ETA is an example of the work Comcast is doing simplify the experience and make customers’ lives easier. Customers can access Tech ETA on the My Account Android and iOS app.